The Carrera Vulcan Disc Spec Mountain Bike features a new and amazing 7005 T6 Heat treated aluminum specific disc frame with profile tubing and gusset on its down tube. Carrera bikes have been on the market for more than 20 years now, and its value, importance and quality have been recognized by many cyclists and bike enthusiasts. So, you can be assured that every Halfords bike that is made is of best in quality and performance. Carrera Vulcan Mountain Bike has a frame made from aluminum materials that makes it withstand even the toughest road tracks there is. It also features front lock off suspension, which is really very helpful for every biker. Along with that, this amazing Carrera Vulcan mountain bike has SRAM X4 gear shifters that provide that wonderful blending of high quality performance and value. Other features of this bike are the Tektro IO Mechanical Disc Brakes and Suntour XCM 100mm travel fork that makes it even more unique and outshoots other competitive brands. You can say that the Carrera Vulcan is perfect for bike enthusiasts and cyclists. Many of the owners of this bike are very satisfied with the performance of this bike. 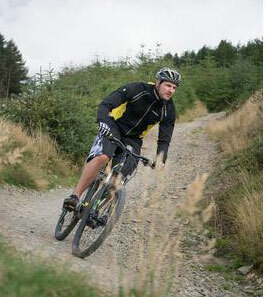 Carrera bike easily can compete with other more expensive similar mountain bikes available in the market. With its cheaper price, great speed and performance which can be a good buying choice in compare with some other more expensive ones. This mountain bicycle has smooth flowing mechanisms and gears. You need not worry about your bike when you go traipsing on harder and more dangerous terrains. You might go now on an adventure that you’ve been dreaming of for a long time! A problem with this bike is that you have to manually adjust the brakes by yourself. There are other bikes that you do not have to a manually adjust the brakes, but this is just a minor drawback that will not affect the performance of your bike. Another one problem of this bike is that it has no rear suspension on it. The Carrera mountain bike is the perfect choice for regular bicycle owners and even more professional ones like cyclists. You can never go wrong with this mtb. It has been in the bike industry for two decades now, you can be sure that they have a good reputation regarding every bicycle that they sell in the market. Also, this Carrera bike can withstand even the toughest terrains, one feat that bike owners want for in their bikes. If you want to experience going on a hard terrain with such good quality bike, make sure that you have your own Carrera bike ready. 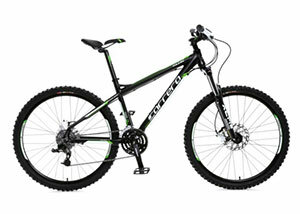 You can buy this Carrera Vulcan Mountain Bike cheap online through Halfords here.